BOXYCHARM is back with some downtown charm for June. If you are not familiar for $21/mo Boxycharm sends you 4-5 full size beauty products valued at over $100. 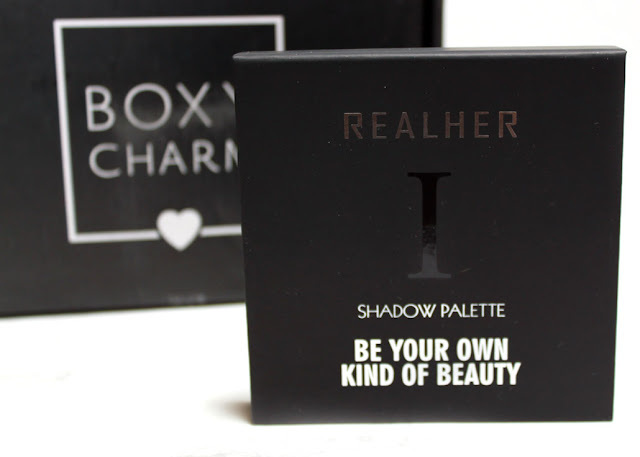 Lets see how Boxycharm charms us this month! I am a big fan of Real Her, both the message and their amazing lipsticks. 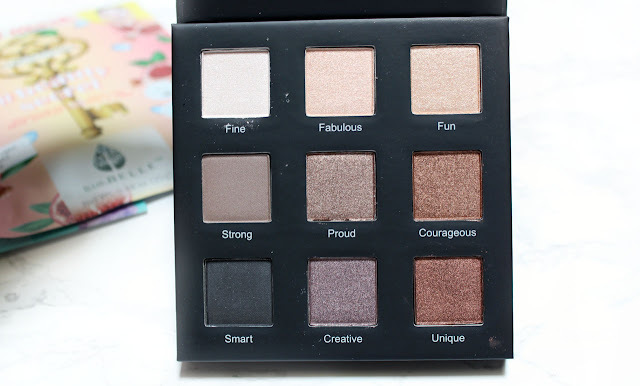 I had no idea they were selling eyeshadow so getting this palette in Boxycharm was super exciting! The palette is small, with a magnetic closure. Inside are a range of neutral eyeshadows in richly pigmented hues designed for all skintones and eye colors. Boxy hits it out of the park when it comes to the eyeshadow palettes they include in their boxes. I am still using those Studio Gear Palettes atleast once a week. This is no exception. It's a wonderful set of neutrals in a mix of matte and shimmers. The colors are gorge, they can take you from a day to night look in a snap. Also, the size is excellent for throwing in to your Summer travel bag. 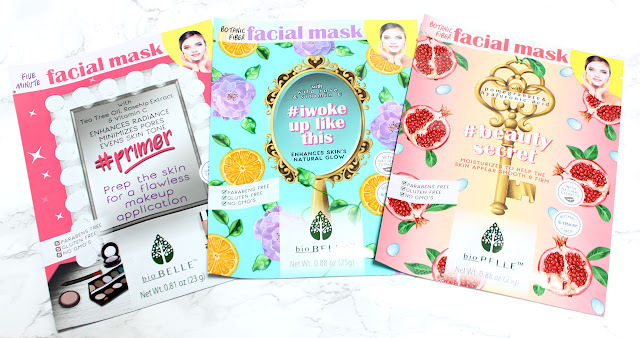 Biobelle's sheet masks give your skin an instant boost, while deeply hydrating and evening your skintone, revealing gorgeous glowing skin. I have never tried Biobelle but these look so cute and the price is great too. So many of the sheet masks I have are uber expensive, I would love to find a cheaper alternative. There are three different masks for your skin concerns. One is even a primer for your skin before makeup, that sounds so cool! This shimmering powder packs a high glow with a gorgeous sheen. The color Illuminate is a glowy champagne pearl. It's very pretty, but loose highlighters are so messy! 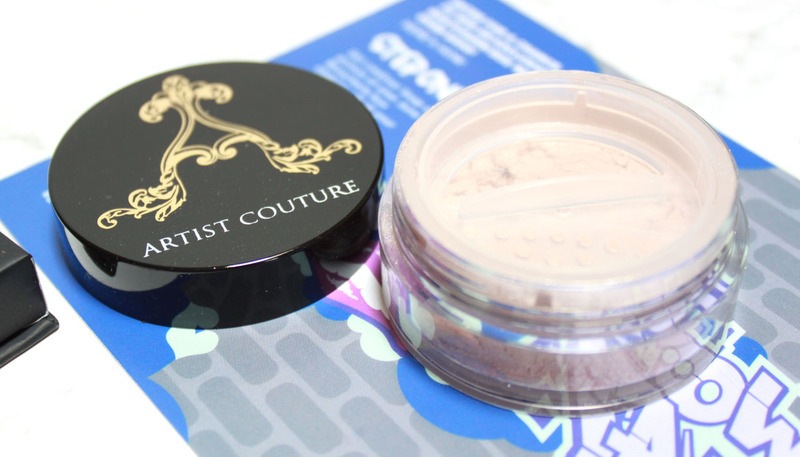 I appriciate the plastic cap, I just don't like to fuss with loose powders. It's also on the glittery side. No bueno. 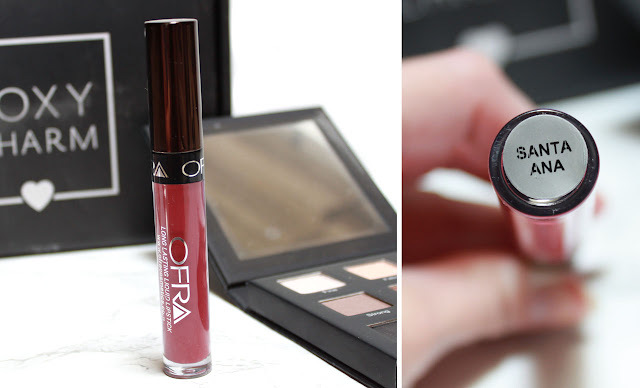 OFRA's liquid lipstick are one-step to full lip color that does not feather. These are some of my favorite liquid lip colors because they have excellent color payoff with out completely drying down to that awful dried out matte feel. Santa Ana is a lovely soft rosey shade. I already have this color in my collection and I wear it all the time, it is one everyone is sure to love. I was excited when they released the teaser that this brush would be included in this months box, but honestly it's nothing special. The taper just doesn't hold its shape and the bristles while soft are floppy and flat. They say this is for dusting away powder or "baking". But I don't waste a boatload of unnecessary powder on my face and I only bake pies. So for my needs it's a pretty expensive useless brush. The Luxie eyeshadow brushes were fantastic, not sure what happened here. That wraps up June's Boxycharm. It was WAAAAAAY better than last months and pretty fantastic all around. 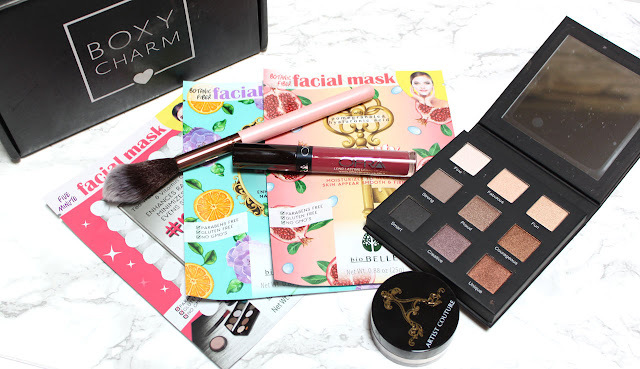 I do hope they stop catering to what will show up in photoshopped instagram "makeup" and actually put out more quality seasonally tailored boxes again. I challenge them to put out a box that does not include any bronzer, highlighter, or a matte liquid lip. For $21 how can we even complain though right?